The first step is to select a professional to help you find your dream home and fine-tune your financial expectations. Working with a buyer’s agent is worth consideration since he or she is legally responsible for representing the buyer’s interest in a real estate transaction. Before making a decision, however, have a Realtor® explain the pros and cons of using a buyer agent versus a sales or dual agent. Our office is a designate agency office, meaning your Realtor® can represent you as a buyer’s agent.. Not all offices practice Designated agency. A difference of even half a percentage point can mean a huge savings over the life of a loan. For example, the difference in the monthly payment on a $100,000 mortgage at 8 percent vs. 7.5 percent is about $35 per month. Over 30 years, that’s $12,600. Competition among lenders is vigorous. Your search for the best loan may include discussion with representatives for mutual savings banks, savings and loans, private lenders, mortgage bankers, finance companies, credit unions and mortgage loan brokers. For a list of mortgage institutions in our area, click on our links. It is important to take accurate notes when speaking with each lender's representative in order to effectively compare loan availability, interest rates, terms, loan origination fees, discount fees or points charged, appraisal fees, down payment requirements, income requirements, and other specific items that lenders may request. Lenders use established formulas for helping determine what price home you can afford to purchase. Depending upon the lender and the type of loan, you will be required to come up with 5 to 20 percent of the purchase price as a down payment on your new home. Lenders apply slightly different formulas for determining your "total monthly housing costs" in order to establish your qualifications for securing a home loan. Some lenders figure in basic amounts for maintenance and utilities in addition to your Principal, Interest, Taxes and Insurance (P.I.T.I.) plus association dues, and any other fixed costs. financial institution for actual amounts. Your third step should be to get pre-qualified, which determines how much you can afford. It allows you to move swiftly when you find the right home, especially when there are other interested buyers. 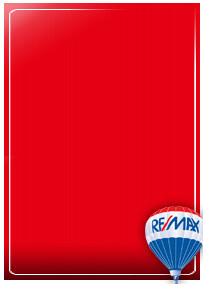 It also indicates to the seller that you are serious and really can afford to buy the property. The cost of receiving a pre-qualification letter from the bank of your choice varies and may be valid for a limited time. Create a realistic idea of the property you’d like to buy. What features are most important to you? Make two lists: one of the items you can’t live without and one of the features you would enjoy. Refine the list as you house hunt. It is also helpful to search online to see what is currently available on the market. Start your search at KeweenawRealEstate.com. 5. Where Do We Want To Live? If you desire, have your RE/MAX Douglass Realtor ® search for the properties with the parameters you have defined and around your price range. Your RE/MAX Douglass Realtor® is a member of the local MLS (multiple listing service), which means they can show you all the properties for sale in the local area, from all offices that belong to the MLS. Drive by the listings to select the properties you like. Now you’re ready to visit houses. 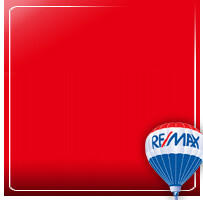 Ask your RE/MAX Douglass Realtor® to arrange showings, and keep track of the properties you’ve seen. 8. Know the features that help or hurt resale. In some areas, a swimming pool actually detracts from a home’s value and makes it harder to sell. In neighborhoods with two-car, attached garage, a single -car or detached garage may impact the home sale and future value. Your RE/MAX Douglass Realtor® can point out features that hurt or help resale value. 9. Rate the houses you tour. After touring each home, write down what you liked and didn’t like. Develop a rating system that will help narrow the field down. For example, pick the house you like best on day one and compare all other houses to it. When you find a better one, use the new favorite as the standard. Once you’ve pinpointed your dream house, it’s time to get serious about the financial and contractual side of the purchase. Your RE/MAX Douglass Realtor® will be a strong advantage since you and the seller have different goals. When you've made the decision to purchase a particular property, your RE/MAX Douglass Real Estate Realtor® will assist you in presenting an offer to the seller. Your offer to buy involves submitting a signed real estate contract that specifically states the terms and conditions upon which you would like to purchase the property. Your offer will generally be accompanied with a good faith deposit check. The seller may accept your offer as presented, or employ the option to "counter" your offer with slightly different terms, price, financing, or other conditions. The seller has a third option, which is to reject your offer. Once both you and the seller have agreed to the terms of the purchase, you have both signed the document, and you have been notified of the acceptance (usually when you or your Realtor receives an actual copy of the contract) the document becomes a valid sale contract. Total monthly income including alimony, child support, bank retirement, interest, dividend or trust income, etc. Assets such as cash in banks, stocks, bonds, other property owned, vested interest in retirement plans, life insurance, automobiles, etc. 12. If Agreed to in the Purchase Agreement, Arrange for a Home Inspection. After your offer is accepted, set up a home inspection. Your Realtor® can give you the names several reputable Inspectors to interview. Ultimate transfer of funds, title, keys and paperwork. Following the closing you will receive a final settlement for your records that clearly illustrates all the fees paid by you to close the contract.